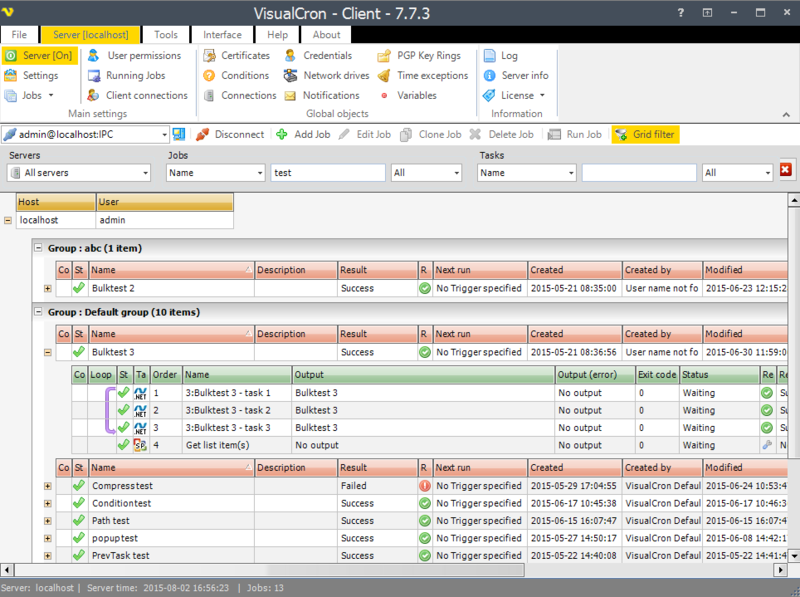 VisualCronâ€™s job scheduling software is a tool that has been developed to help businesses to automate batch processing by doing away with user interventions from submission, monitoring and verification of background jobs. With new developments taking place in the It industry, businesses are facing a growing need to add applications that are required for scheduling in batch. Depending on operators to perform tasks that can be smoothly automated is simply a waste of time. Our software will deliver you with quick returns and greatly improve the quality of your IT operations. Apart from using clocks and calendars to schedule batch jobs, you can also utilize external events and manage dependencies with enterprise job scheduling. Job scheduling software will help in scheduling jobs for execution on numerous operating systems, packaged and customs apps. You will also be able to minimize the number of errors and manual interventions with workload automation. IT staff maintenance costs will be lowered, thereby enabling IT operations to work in close coordination with bigger projects. Improved systems and network performance will help you to meet your service level goals. As a result, businesses will be able to respond to their client demands by integrating job executions with system events or external applications. Updating jobs in a quicker manner will be possible, thereby allowing changes to be made instantly. VisualCron will help you to raise the efficiency of your IT operations and make substantial savings on operating costs through staff productivity, better turnaround times, minimized training and maintenance costs with real-time control over job scheduling. Our software offers event-driven scheduling options and notifications related to errors and delays so that you can manage your entire work process from a central console, and check major mistakes.